This is the first installment of my trail journal, there will be more to come. My trail review is listed below. Type: Dirt (possibly wet and muddy at times). Distance: 1.7 miles (more if you roam off the trail). I finally decided to start walking the trails near me. 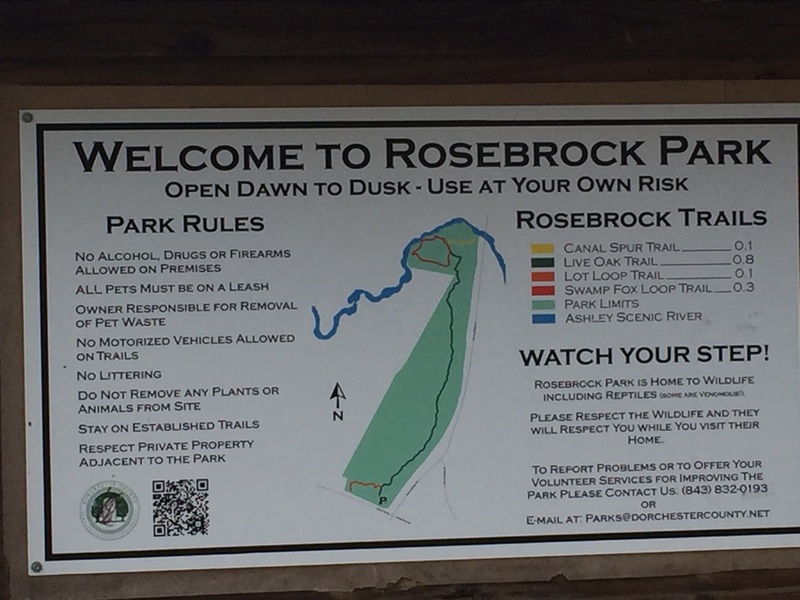 The second was Rosebrock Trail in Dorchester County, SC. I’ve driven past it a few times and decided to stop on 19 Jan 19. Below are a few pics that I took. The trail was rough with lots of roots and quite wet and muddy at times. There were many streams leading into the Ashley River throughout the area and bridges crossing them (not the river). I stopped at the various signs with information about the area. I roamed a bit off the trail to check out something interesting and there were a few places that had dead-end trails or offshoots. My trip came out to be 1.93 miles according to my GPS/pedometer, it took my 1.5 hours for a round trip.